The Bega Adjustable Circular Recessed Wall Luminaire is a high-quality lighting choice designed to fit seamlessly into any urban design project. 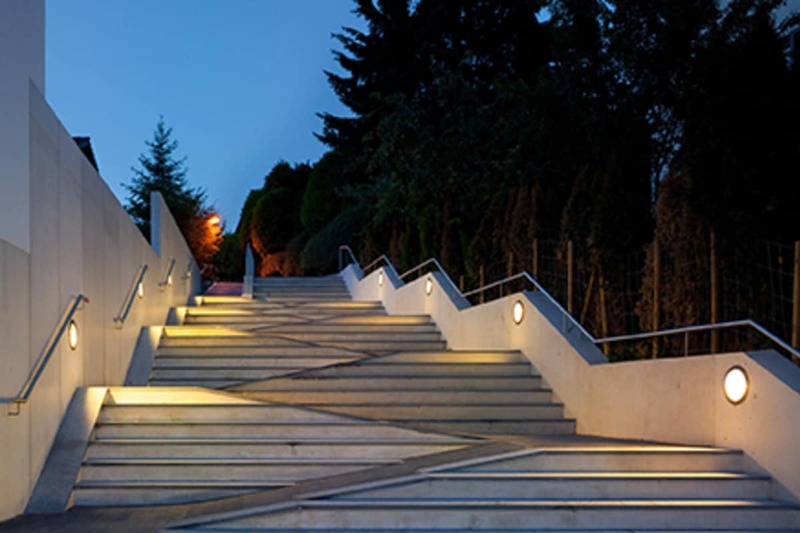 Manufactured from cast aluminium, aluminium, and stainless steel, this luminaire adds an attractive aesthetic to any development, as well as being durable, hard-wearing and resistant to corrosion and rusting, reducing the need for maintenance. 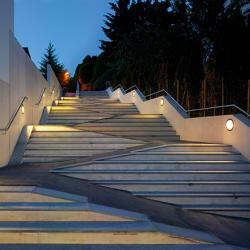 The Bega Wall Luminaire is a great choice for public walkways and exterior staircases, as reflectors in the unit can be tilted and rotated to adapt to any project. These luminaires can be used either individually or grouped in areas where surface-mounted floodlights are unsuitable. They come in 2 diameters with different light outputs to flexibly cater for any lighting scheme. The shallow installation depths and a patented mounting system ensure that installation in closed or hollow structures is a simple and economical process.